As the post title suggests. I waited over 36 hours before I even placed the cookie dough in the oven. I know right? Who can even wait that long? 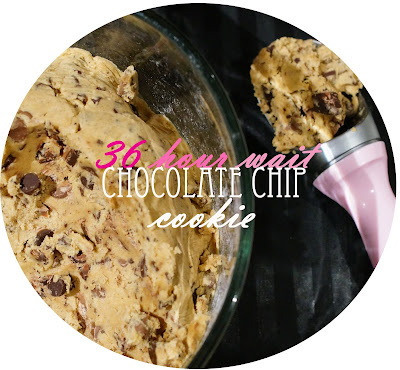 You'd think I would have started chipping away at the cookie dough itself while I waited over a day and a half to make this! I had read about this ultimate, best, ever, chocolate chip cookie on other blog posts around the interwebs, and I just had to try this recipe for myself. 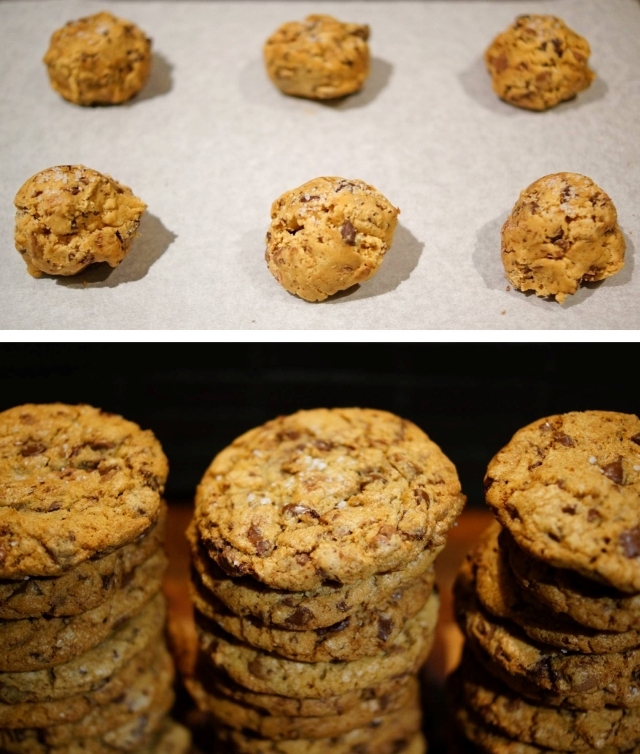 Take the cookies out of the oven whilst soft at the minimum baking time (i.e. 15 mins). 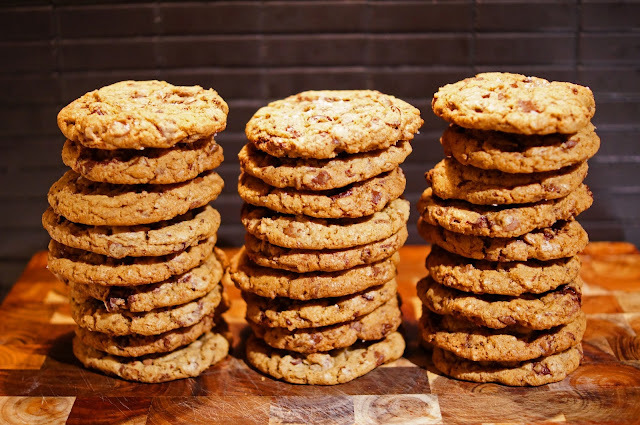 It's always easier to re-bake an under-cooked cookie, than to tearfully chuck an over-cooked cookie out! I have taken the lazy route with this recipe before and just used plain flour, and also only waited 12 hours. The result was perhaps a bit of a heavier cookie that still had a bit of a sugar crystal texture. I grew up with a big love for "Farmbake" chocolate chip fudge cookies, but this, my dear friends, really trumps that childhood memory. Happy weekend everyone!